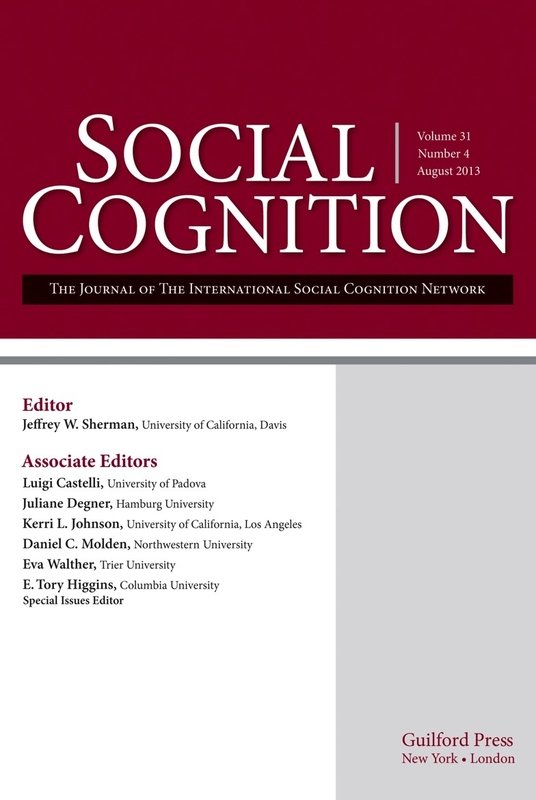 Social Cognition is published by Guilford, and is the official journal of ISCON. With your membership you can opt to receive it at a reduced fee. Join ISCON! ISCON sponsors the Social Cognition pre-conference that precedes the annual SPSP conference. It organizes a similar pre-conference for the tri-annual meeting of the European Association of Social Psychology. ISCON also is a sponsor of the PMIG conference that precedes the annual SESP conference. Social cognition is not a content area, but rather is an approach to understanding social psychology. It is a level of analysis that aims to understand social psychological phenomena by investigating the cognitive processes that underlie them. The major concerns of the approach are the processes involved in the perception, judgment, and memory of social stimuli; the effects of social and affective factors on information processing; and the behavioral and interpersonal consequences of cognitive processes. This level of analysis may be applied to any content area within social psychology, including research on intrapersonal, interpersonal, intragroup, and intergroup processes. The International Social Cognition Network (ISCON) was formed in 2003 as a joint enterprise between the European Social Cognition Network (ESCON) and the Person Memory Interest Group (PMIG) to act as an umbrella society to advance the international study of social cognition. Among the objectives of ISCON are to advance the understanding of social cognition by encouraging research and the preparation of papers and reports, holding meetings for the presentation of scientific papers, sponsoring or issuing publications containing scientific papers and other relevant material, establishing professional honors and awards to recognize excellence in social cognition research, and cooperating with other scientific and professional societies.